There are many reasons to visit Germany, the wonderful hospitality and their unmatched way of welcoming guests and according to the tourism, competitiveness reports Germany is one of the safest places for tourism. Germany is famous for their historical architecture, cathedrals and monuments food like Bread and Sausages, beer etc. their national game football and their unique way of celebrating festivals attracts most of the Indians tourist to visit Germany. If an Indian is willing to go to Germany then he or she first has to apply for Germany Visa like so many other countries, Germany is also coming under Schengen member country. 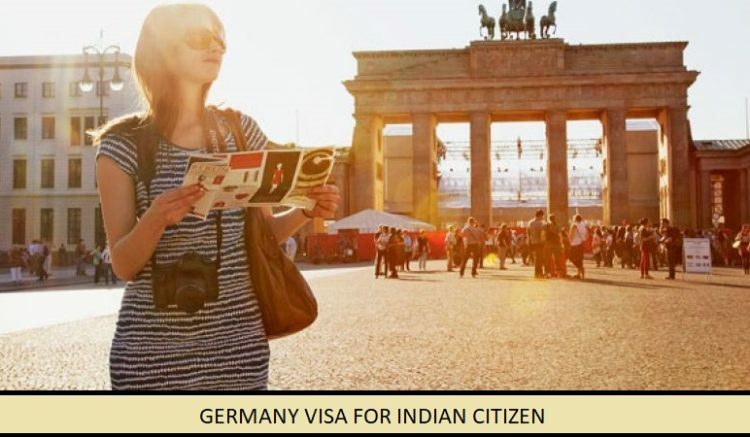 In this article, we will share every detail like how, where, documents required, fees & many more things about Germany visa for Indian citizen. Tourist Visa or visitor visa – This type of visa is applied for those people who are only traveling to Germany for enjoyment and to experience the culture of Germany. The tourist visa is short-term visa so this visa cannot be exceeded. Business visa – Applicant who is planning to start their business in Germany so the Business visa is applied but in any case the purpose of making new business or meetings, tours etc. are postponed so time period can be exceeded for more than 90 days. Family or friend visa – If an applicant is planning to meet their family or friend who is already living in Germany so this family or friend visa is applied for those applicants. Studying and language learning visa – This type of visa is applied for those people who are planning to study at Germany but before applying for Studying and language learning visa he or she first has to take admission in some recognized institute of Germany and attach the proof with the entry pass. Working visa – Applicant who have gotten a new job in Germany so a working visa is applied. Medical treatment visa – If an applicant is suffering from any critical health issue and they are planning to travel Germany for the treatment so he or she has to apply for the medical treatment visa. Training or Internship visa – This type of visa is applied for those people who are planning to do their training or internship in Germany. Guest Scientist visa – If an applicant who is Scientist is planning to continue their research in Germany so he or she has to apply for Guest Scientist visa. Above all the listed type of Schengen Germany visa, only a few are more in demand for Indian citizen i.e. Schengen Visa (Tourist, Visit), Business Visa, Family/Friend visa & Work Visa. Here in this article, we are more focus on Tourist & Business Visa for Germany. Germany, a part of Schengen member area required a Schengen visa to visit Germany for tourism, business or meet family or friend. Here is a list of required documents to get a Germany visa for an Indian citizen in India. Passport – As per the requirements of the German embassy, the validity of passport should be 6 months beyond the applicant planned to stay in Germany. Photographs – Applicant must provide their recently taken passport size photographs according to the photo standards set by the German embassy. Schengen Visa Application – Applicant has to download the application form from the official website of Germany and then fill the application form completely with honest and correct answers and with all the information which required in the documents. Travel Health Insurance – Applicant should provide health insurance documents which cover illnesses and accidents and even repatriation in case of death. Proof of accommodation – Proof of your confirmed hotel’s bookings with the return tickets or have someone sponsoring applicant’s stay. Proof of transportation – Applicant must provide their confirmed tickets along with the travel reservation including all the internal transfer arrangements. Proof of Financial – Applicant must provide proof of their financial means which shows the applicant has a good amount of money according to his planned tour in Germany which includes recent 6 months bank statement which shows his or her financial health & ITR of last 3 years. The minimum amount of money should be at least 45 Euros spend in Germany per day but in any case, if he or she cannot provide the bank statement then the applicant should provide a formal declaration of a person who is going to finance their whole journey with his or her financial proof. Cover Letter – A cover letter which is explaining what you are planning to do in Germany and your day-to-day itinerary addressing to Visa Officer in the German Embassy. Applicant should provide their good character certificate from the nearest police station. No objection letter – This letter is a proof of approval for travel from your employer or authority. This also indicates the applicant’s current status of the profession. Step 1 – Before applying for a German visa, please ensure the visa category as per your “purpose of visit”. Step 2 – Download the Schengen Germany visa application form from the official website & fill it completely along with your photograph. Step 3 – Arrange all the required documents as per your visa category, you may download the checklist from the Germany embassy website. Step 4 – Bring all documents with Germany visa application form to the VFS Visa Application Center for Germany. Please note before the visit, take a prior appointment with the VFS centre for documents submission. Step 6 – An interview will be conducted between the applicant and the consultant with whom they ask some questions about your background and the purpose of your trip to Germany. Step 7 – After submission, now the applicant can track their application status online. Step 8 – Collect your passport from VFS Visa Application Center or avail the option of courier delivery. VISA CATEGORY – Short Term (Including Tourism & Visit of Family and Friends) Business, Transit. 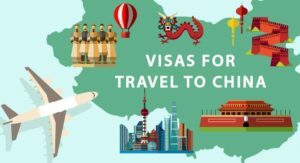 VISA FEE IN INR (CHILD) – 4900(Above 12 Years). 2900(For Children between 6-12 Years of age) (No visa fee is charged for children below 6 years of age). German visa application shall be decided on within 15 calendar days after the submission of application form at VFS centre. In some case like some additional documents required, it will be extended up to 30 -60 calendar days. The above information may help you how to full fill the visa application form of Schengen Germany Visa but still if you are not getting how to apply for the visa. Don’t be worried about anything because our visa company Visa Triangle is always here to solve your problems. Visa Triangle help you out with services like Flight Tickets, Hotel Bookings, Tour & Packages, Sightseeing advice, health insurance, medical insurance, travel insurance etc. Note: Before making any booking for Flight or Hotel online it’s better to check with us to secure a better deal or save your money.